Google Duo was announced in May, and is cross-platform between iOS and Android. No Google account is necessary —connections are made between users' phone numbers after a one-time SMS verification. The app provides mitigations by decreasing video quality for varying speeds of connections. Calls made on Duo are end-to-end encrypted. Setting it apart from FaceTime, The "knock knock" feature in Google Duo shows the call recipient a live stream of who's calling and the surroundings of the caller before the recipient confirms the video chat request. Initial AppleInsider testing showed an initial period of negotiation between devices, with the video quality oscillating between very good and poor —but the initial "knock knock" stream was consistently bad and severely pixellated. This negotiation period lasted about 10 seconds after the recipient accepted the call on both 4G and 802.11ac Wi-Fi, with consistent good quality thereafter. Announced at the same time as Duo in May was Google's Allo chat service. Allo is not yet available. 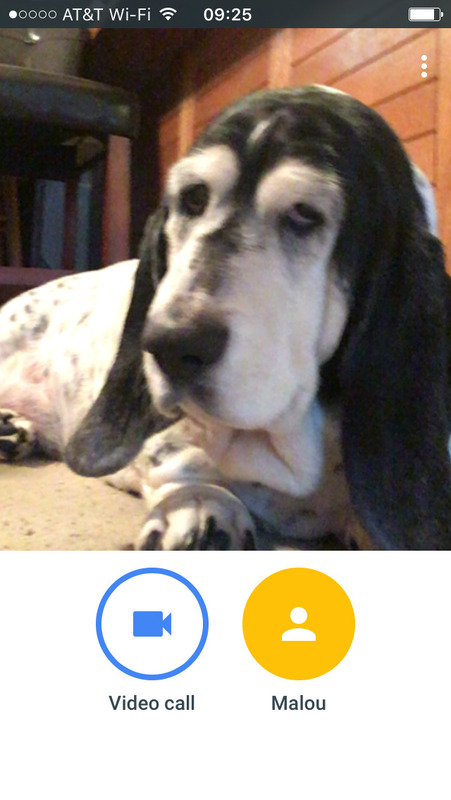 Google Duo is available now, requires iOS 9 or greater, and occupies 28.2MB of device storage space.